LEWIS Hamilton's grip on the F1 championship strengthened even more after he claimed pole position ahead of Sunday's Japanese Grand Prix. Hamilton's lap of 1:27.760 allowed him to once again claim the front spot on the grid ahead of his teammate Valtteri Bottas. But the big news out of qualifying was the failure once again for Red Bull with Australia's Daniel Ricciardo once again on the receiving end. Disaster struck Ricciardo as he drove around the Suzuka track and felt a sudden loss of power that had him limping into the pit lane. The moment hit in the dying stages of the first qualifying session and the team worked furiously in an attempt to have the car right, but time eventually ran out - meaning Ricciardo will start tomorrow's race from 15th spot on the grid. 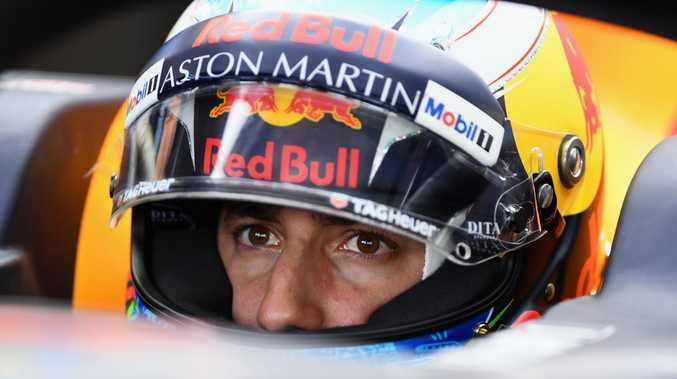 It means Ricciardo has failed to qualify for the third qualifying session in five of the past seven races and also makes it 11 straight times he has been out-qualified by teammate Max Verstappen. As Ricciardo walked out of the garage, he put his visor down and let rip a huge howl of anger as the failure got the better of him. "That's not normally emotion you hear from Daniel Ricciardo, he's normally the most cool and balanced person in interviews he does. Visor down, I feel for him," Sky Sports' Paul Di Resta said. "There's red mist there isn't there." 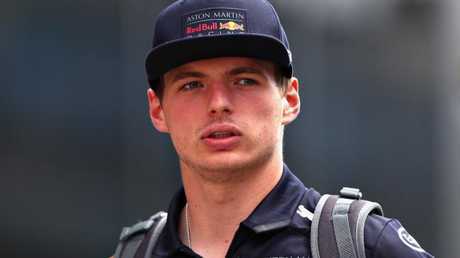 Max Verstappen has enjoyed the inside running at Red Bull. The outburst caused Ricciardo to lose his voice and the frustration was evident as he spoke to media after the latest failure. "I just blew out my vocals … I'm pissed," Ricciardo said. "I felt a loss of power around the last corner and just before I started the lap. I knew it was something that seemed terminal. Just can't catch a break. "Qualifying is important here … I just don't know, it's pretty painful at the moment." The championship may have been decided courtesy of a complete brain fade from the Ferrari team and a masterstroke from Mercedes boss Toto Wolff. As the rain began to fall late in the second session, teams checked the radar and prepared for a wet third session. Both Ferraris sat at the exit to the pit lane with intermediate tyres fitted, but the conditions had quickly cleared and Mercedes pulled the switch by fitting super-soft tyres. As Sebastian Vettel drove out of the pits he told the team the track was far too dry for the tyres and a decision to pit was made. The error was magnified when both Hamilton and Bottas headed out in the slick tyres and put down solid times before the conditions began to get worse. Hamilton sits at the front of the grid with his nearest championship rival Vettel finding himself stuck all the way back in ninth. A further blow for Ricciardo will be the sight of teammate Max Verstappen, who ended the final session in third spot, behind only the Mercedes duo. "We made the right call in Q3. Very happy to be third - I didn't expect to be, and now we have a bigger chance to be on the podium," Verstappen said after qualifying.